It's an all-out bakkie war in Mzansi with German automakers Mercedes-Benz and Volkswagen keen on challenging the dominance of perennial favourites Toyota and Ford. 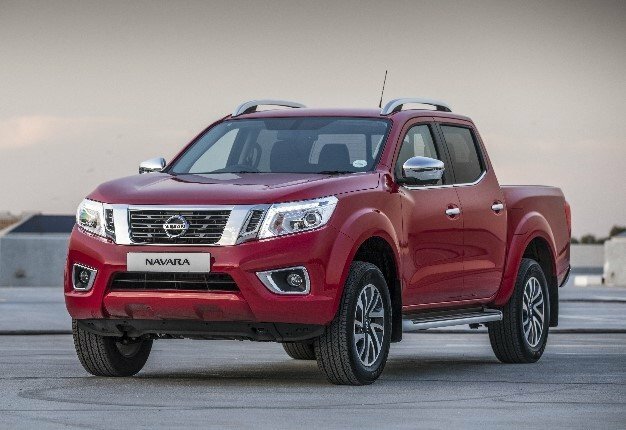 The newest addition to a market flooded with double-cab bakkies, the X-Class divides opinion with its snobby badge and Nissan Navara underpinnings. It's powered by a 3.0-litre turbodiesel V6 engine and produces 190kW and 550Nm, and scampers to 100km/h from standstill in less than 8 seconds. Check out our road test here. The country's best-selling bakkie has undergone a few cosmetic changes in 2018 and wears xenon headlights, LED spot lamps and a black grille. In top-spec form it is powered by a 4.0-litre V6 petrol engine producing 175kW and 376Nm. The Hilux uses a six-speed automatic gearbox and it's not difficult to see why the newer version will continue the model's dominance in the local market. Another German bakkie on the list, the Amarok, is a favourite with our testers. Producing 165kW and an X-Class equalling 550Nm, the Amarok has a trick up its sleeve in overboost mode where power surges to 180kW and 580Nm. The VW uses an 8-speed conventional torque converter to change gears and it works like a charm, offering smooth gear shifts. The automaker will launch a higher-powered 190kW Amarok V6 in early 2019, matching the X-Class' power output. The Ranger may be the Toyota Hilux's biggest rival in the sales charts but its well below in the power stakes. The US automaker's most powerful Ranger uses a 3.2-litre turbodiesel engine producing 147kW and 470Nm. It can be mated to a six-speed manual or a six-speed automatic gearbox. Ford will debut a refreshed Ranger in 2019, read about it here. The Navara occupies fifth spot on this list, powered by a 2.3-litre turbodiesel engine it makes 140kW and 450Nm. The Navara's party piece is its five-link coil rear suspension and also uses a seven-speed automatic gearbox. The four-cylinder unit is also used in other versions of the X-Class as part of the partnership between Mercedes and Nissan.